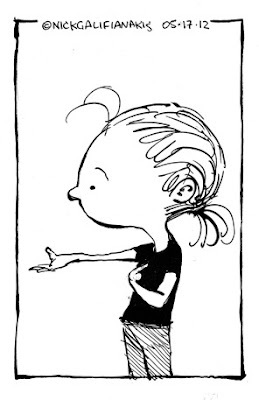 I read Carolyn Hax's column daily. Once in a while, I come across posts I just can't help but share. This is all I have to say about this: Resentment is a self-killer. So is jealousy. Its like drinking poison and waiting for the other person to die. Father helped send two sons to law school, though they have student loan debt they’ll be paying for decades. Father has much younger stepdaughter. The sons are not particularly close with father’s “new” family. Stepdaughter plans to go to medical school. Sons suspect that financial support for her will be greater than they received. Should they insist the stepdaughter receives the same? Less? Don’t sons have right to better treatment? Ugh, no. First of all, “sons suspect” is not the same thing as “sons know,” so treating suspicions as actionable facts is a bad idea to begin with. As is inserting themselves into a transaction that isn’t their business. Second, accounting fairness nickel-for-nickel is arguably not fair. Father helped his sons, presumably, as much as he was able to at the time. As an older man supporting fewer children now, maybe he’s able to do more. Would it then be fair for him to help his stepdaughter less than he is able to? And what would his reasoning be — because she’s not really “his”? I imagine stepchildren would have a lot to say about being treated as less worthy of love and support than . . . what’s the adjective you’d use here? “Real” children? “Biological” children? What about adopted kids? Are they less worthy, too, then? Seems to me the more reliable path to a full heart and a warm life is to be grateful for what you’ve been given and not gather supporting facts toward begrudging what others receive. There is clearly some doubt here, and should be, since the sons don’t have firsthand knowledge of the father’s finances — and the sons benefit from this doubt. They’re better off assuming nothing beyond that their dad loves them and did his best. That said, I could argue it’s time for them to get to know this “new” family better, since their fates are linked in many ways, especially as the father starts to fade. Isn’t it better to have people pulling for each other versus against? Okay, I’m the older daughter who watched my dad buy a Porsche, then tell me he couldn’t help with college — then watched years later as he fully footed the bill for my half brothers. I get it. But you’re conflating “treatment” with “money.” If this is about his love or the way he “treats” you in everyday life, then talk to him about that. If this is about “I didn’t get a free ride, why should she?” shut your mouth long enough to listen to exactly how selfish and entitled you sound: You’re willing to hurt both your dad AND your sister (who has zero say in this), simply because you’re jealous that she got a better lollipop than you? You really want to be that guy? You can approach life one of two ways: on the assumption that you are the less-favored child, or on the assumption that your dad loves you and did the best he could with what he had. Either way, you will find plenty of evidence to support your world view. So: Which one is going to make you happier?